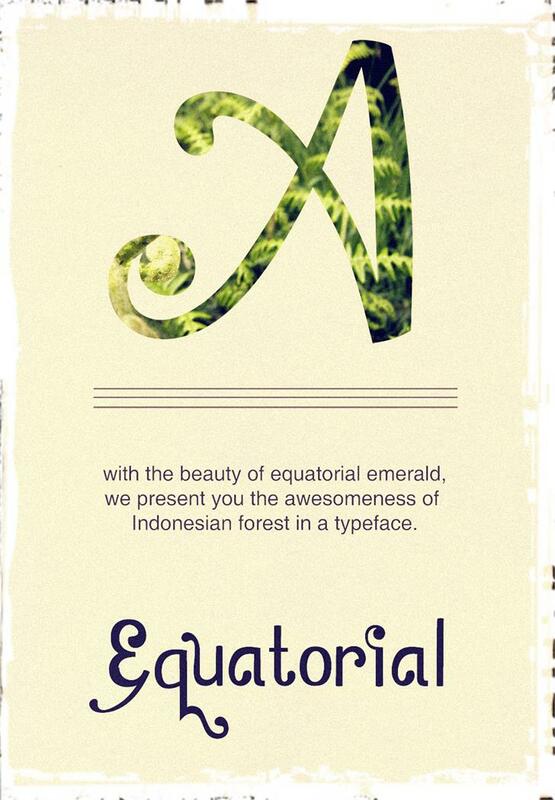 With the beauty of equatorial emerald, we present you the awesomeness of Indonesian forest in a typeface. It's free for personal and commercial users. Wise to use this font. Not permitted for pornographic using, sarcasm, and other negative aims. Donation will help me to elevate my creativity and finance my school necessity. You can donate me to my paypal account maximadien@gmail.com or if you didn't have paypal account, you can donate to my bank account (Bank Mandiri, contact me for further information). And alternative donation: please make people around you happy. Let's make a better place!